It's here! The Next Level Soccer Camp for ages 8-13 is an all day summer soccer training experience you have been looking for! Weekly sessions will be led by Seb Dixon and Blaine Soccer Club coaches. About Seb Dixon: With 16 years of coaching experience, Seb Dixon hails from Oxford, England and currently coaches with the Blaine Soccer Club and Global Premier Soccer Minnesota (GPS MN). Prior to coaching in Minnesota since 2017, Seb has coached in the Seattle area all the way to the East Coast. Seb has a BA degree in Coaching and Physical Education and holds a UEFA B coaching license. The dedicated, professional NSC staff will provide great customer service, and make sure this is a summer camp experience you will remember for years to come. Click the sections below for more information. Many soccer camps charge up to $50 per hour for training. Next Level is a great value giving you: 8.5 hours of on-field soccer training, 4.5 hours of dry-land training, golf, field trips and much more for between $275 and $325 a week. Camp is held Monday – Friday, 8:30 a.m. – 4:15 p.m. at the National Sports Center. Morning drop-off is 7:30–8:30 a.m.; Evening pickup is 4:15–5 p.m.
Fees not paid in full by deadline participant will not be allowed to attend camp. Fees are due one week proceeding /prior to the week attending camp. No refunds or credits for missed or 1/2 days. Refunds due to health issues will be handled on a case by case basis. All refund requests are subject to a $50 administrative fee. 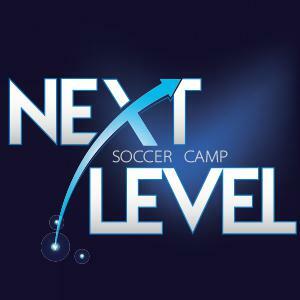 Next Level Soccer Camp will start Monday, June 10 and finish Friday, August 30. We will have three weeks off due to 4th of July and USA CUP: July 1-5, July 8-12, and July 15-19 July.